"I will break my fast as the government has failed to give any positive response. I will fight elections to resolve the issues," she told ANI earlier outside the Imphal court. Sharmila, who is popularly known as Iron-lady of Manipur, is being welcomed by two major national political parties, Bharatiya Janata Party and Congress, after announcing that she will fight elections. BJP on Tuesday said that it will welcome activist Irom Sharmila if she wants to join the saffron party. BJP leader, K.H Joykishan told ANI that Sharmila contesting elections from a BJP ticket is a decision which is to be considered by the central leadership of the party. "The BJP welcomes everyone. if she wants to join our party we will not deny her admission. But regarding tickets I cannot ensure as it is a decision of the Central leadership," said Joykishan. Praising Irom Sharmila for her determination, the Congress on Tuesday hinted that the grand old party will welcome the iron lady of Manipur in their party, if she wishes to join the political outfit. Manipur Congress president T.N. Haokip hailed Sharmila's decision to contest elections and said that the latter is a determined person who stands by her commitments. 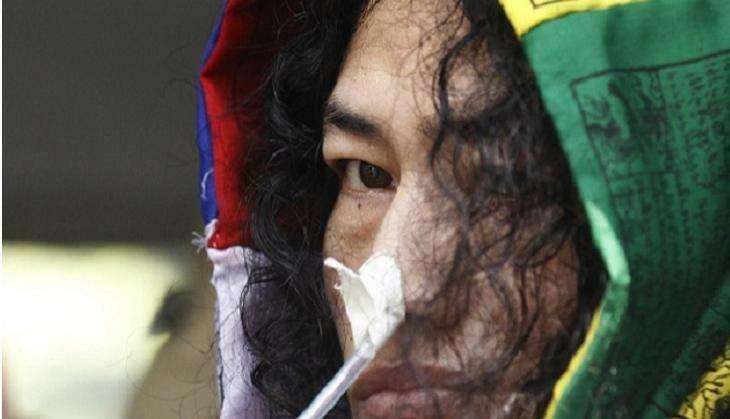 Irom began her hunger strike to protest against the death of 10 Manipuris who were shot dead by the Assam Rifles in Imphal.